Memory Palace, the stunning debut full length from producer / remix artist Will Benoit (Jesu, Constants, Ellie Goulding, Caspian, Rosetta, Junius). 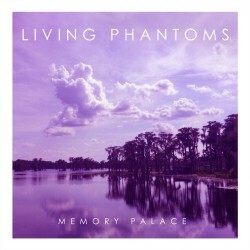 LIVING PHANTOMS' Memory Palace is ambient synthgaze and indie-synth rock mastery with the utmost attention to detail for the craft of song writing. Illuminated for the first time in physical formats, Translation Loss Records offers Memory Palace on vinyl and compact disc featuring original artwork by Will Benoit. The vinyl version includes exclusive bonus material and the CD version comes with three exclusive bonus tracks!